I love cooking, especially if I can find recipes that are healthy and will help fuel my next workout. 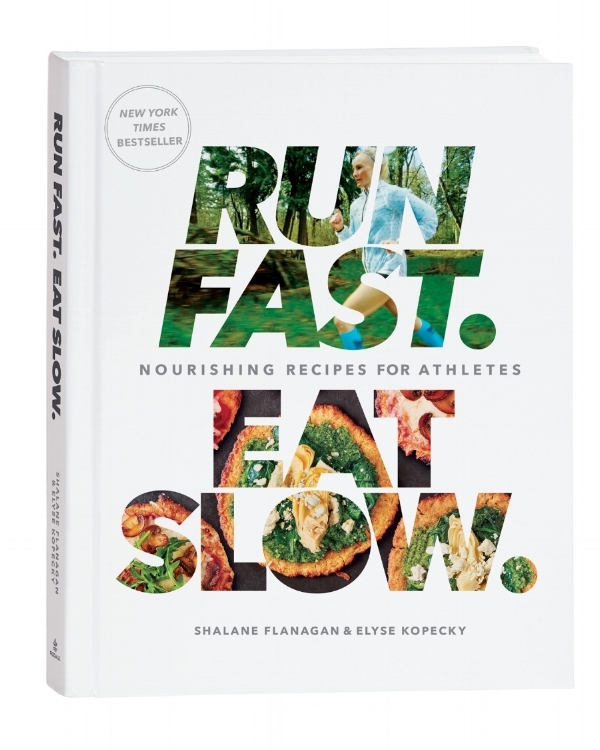 I heard about this cookbook that was co-written by Olympic medalist, Shalane Flanagan and her college cross-country teammate Elyse Kopecky. Shalane is a four-time Olympian, American record holder, and a world-class marathoner. She finished second in the 2010 NYC Marathon and ran the fastest time by an American Woman at the Boston Marathon in 2014 (2:22:02). Shalane has been sponsored by Nike ever since she graduated from the University of North Carolina at Chapel Hill in 2004 and typically runs over a 100 miles a week. A key to performing at this level for her is having a focus on fueling for health and performance. She currently lives and trains in Portland, Oregon. Elyse is a chef, author, and nutrition coach as well as a runner and proud mother. Elyse moved to Portland to work for Nike as a digital marketing producer after college. Her career took her all around the world. On her journey, she took cooking classes and started cooking to fuel her training. One of the lessons that Elyse learned was that by adding more fats to her diet, she was stronger and healthier than ever. After 10 years in marketing, she moved to New York to study at the Natural Gourmet Institute for Health and Culinary Arts. After finishing her studies, she moved back to Portland and reconnected with Shalane. 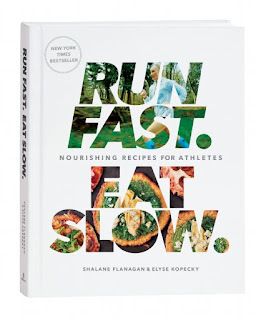 While they were enjoying dinner one night, they were discussing the importance of “indulgent nourishment” and the idea for Run Fast Eat Slow was born. The idea of how to nourish yourself for the long run. I was really excited to break open the book as soon as I got it. There were so many recipes that I wanted to try. The first recipe I tried was for the Blueberry-Lemon Cornmeal Scones. To be honest, I didn’t have any lemons, but followed the recipe other than that. 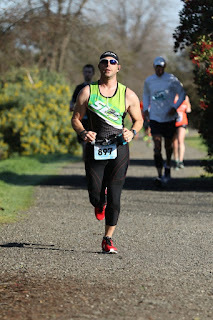 I loved the texture and flavor of the scones and because it was right after a 20 mile run, I ate way too many. My picky kids loved them too. The next recipe I tried was the Make-Ahead Breakfast Burritos. This is one of my favorite recipes because it’s healthy, provides plenty of fuel for my mid-day runs, and is perfect for a quick meal that I can make in just a few minutes. The recipe made 6 decent sized burritos. I used eggs, spinach, cheese, and black beans inside the whole wheat tortilla. I wrapped them in aluminum foil and froze them all. On days when I was running behind, I would pull out a burrito, unwrap it, and microwave it for 1 minute on each side. I would throw it on a plate and take it to the car for a great on-the-go meal. 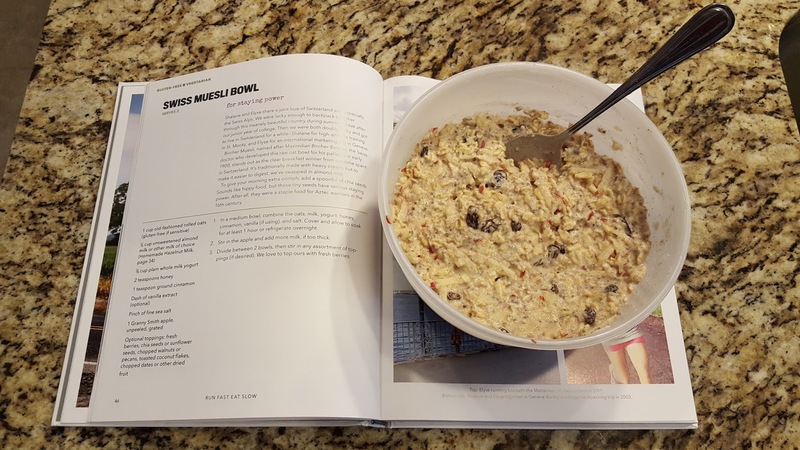 Another favorite recipe of mine is the Swiss Muesli Bowl, which you make the night before. I used grated apples, raisins, yogurt, vanilla, cinnamon, honey, almond milk, toasted almonds, and old-fashioned oats. The recipe makes two servings so I would have it for two days in a row. 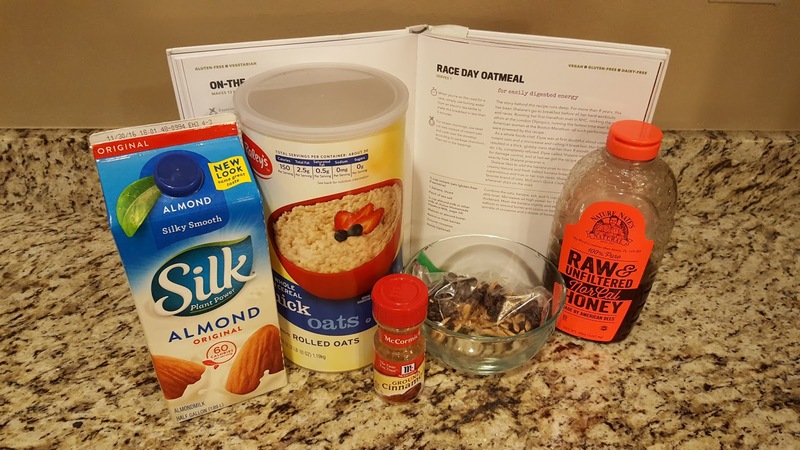 This is another great recipe to fuel my mid-day runs. I put this in a Solo cup and throw a plastic spoon in so I can eat it on the way to work. The last of my favorite meals is the Race Day Oatmeal. 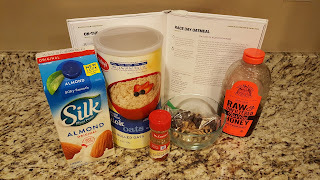 This is a super easy recipe that takes less than 5 minutes to make and is the perfect meal for an hour before my early morning long runs on the weekend or a few hours before a race. I can definitely feel the benefits of this awesome fuel source that is easy on my stomach. My go-to ingredients are quick oats, almond milk, banana, honey, salt, cinnamon, roasted almonds, and raisins. I add the oats, salt, sliced banana, and water in a bowl. Then I microwave it for 1:30 and mash the bananas. I then add the cinnamon, honey, almond milk, almonds, and raisins and stir. Like the Muesli, I throw it in a Solo cup and take it to the car on most mornings. I typically eat this 3-5 times a week. While I have mostly used the Run Fast Eat Slow book for breakfast, there are tons of great recipes for salads, deserts, snacks, and meals. You have plenty of recipes to choose from and they all taste amazing. The best part is that you don’t need to count calories and the food is easy to digest since the ingredients aren’t full of artificial ingredients. I can’t recommend the Run Fast Eat Slow book enough. You can train like an Olympian, but if your diet isn’t helping you, it is most likely hurting you. Being able to fuel your body for success is one key to performing at your best. With this book you get the knowledge of a dietician and a world class runner. 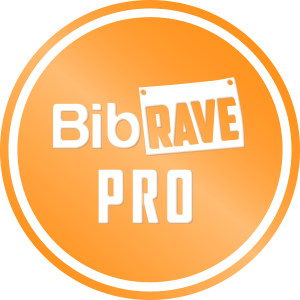 They have taken their love for running and nutrition and came up with a book that can help take you to that next level. Be sure to pick up your copy at one of their book tour stops (click here for locations) or on their website. Be aware though, eating better might just make you run faster, so be prepared.